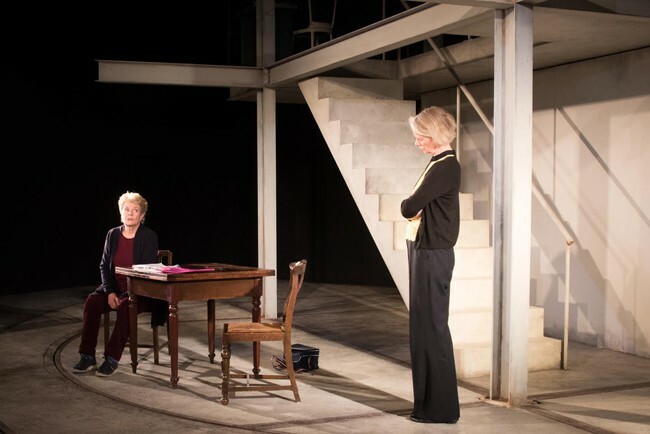 WOMEN CENTRE STAGE: POWER PLAY Festival – a resounding success for pioneering new writing and theatre-making at Hampstead Theatre. 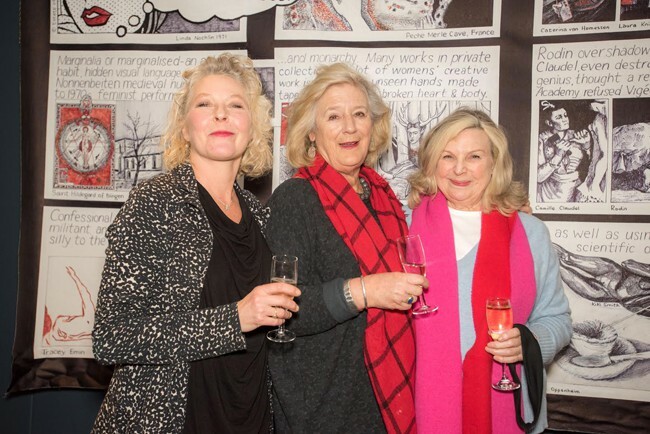 25 plays and 1 panel discussion took place in the 7-hour programme at Hampstead Theatre on Sunday. The festival had sell-out programmes for Women on the Edge and Sphinx Writers Group. New plays from Winsome Pinnock, April de Angelis, Rebecca Lenkiewicz, Charlene James, Vinay Patel and Howard Brenton created and presented for the festival. Sphinx star cast included Beatie Edney, Stella Gonet, Janet Suzman, Ann Mitchell, Maggie Steed, Cecilia Noble and Kathryn Pogson, plus Anita Joy Uwajeh, Yvette Boakye, Ronke Adekoloujo, Kathryn O’Reilly, Agni Scott, Jeany Sparks, Chetna Pandya, Claire Louise Cordwell and many more. 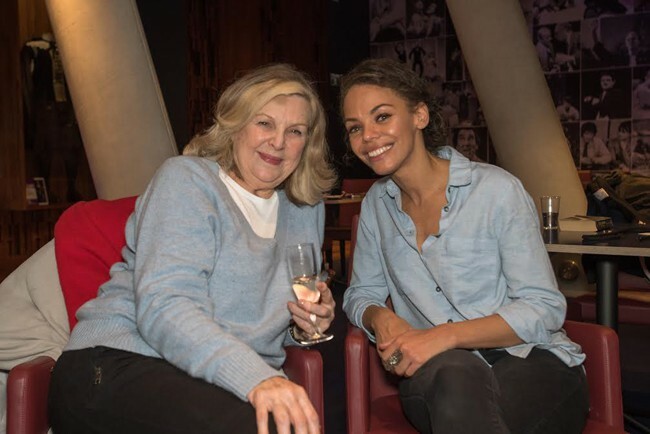 Over 100 cast, writers and directors came together for Sphinx Theatre’s Women Centre Stage: Power Play which took place on Sunday the 20th of November at Hampstead Theatre. The festival kicked off last week with workshops at the Actors Centre and finished on Sunday with a day of performances at Hampstead Theatre which included a 7-hour programme of 25 plays and a live panel discussion. Sundays event saw sell-out programmes of work for Women on the Edge and Sphinx Writers Group, the festival audience were fast to praise new work Man Up! by Camilla Harding and Alexandra Sinclair and rave reviews of new plays Bunch, White Lead, How not to Sink and Graves of Spartan Women by Sphinx Writers Group flooded in. Highlights of the day included partner pieces presented in the rehearsal room; F*king Feminists (Mama Quilla and Theatre 503), Road to Huntsville by Stephanie Ridings (Mac Birmingham and Warwick Arts Centre, supported by Birmingham REP) and Battleface by Sabrina Mahfouz (originally commissioned and produced by the Bush Theatre, early development supported by the National Theatre Studio) and there was an amazing array of voices presented by Graeae Theatre Company’s all-female Deaf/disabled creative team, The Night Club by Chloe Todd Fordham and A Perfect Match by Tanika Gupta in the main house. Sarah Crompton chaired an important and frank discussion about gender and equality in theatre, for In Conversation- Changing the Landscape and was joined by panelists Timberlake Wertenbaker, Suzanne Bell, and Elizabeth Newman. Ones to watch: The Hiccup Project opened the New Women hour and their comedic style of physical theatre and dance had the audience in fits of laughter, the piece provided a wonderful contrast to Winsome Pinnock’s thoughtful new play Tituba which was performed by Cecilia Noble and the hour ended with Wilderness a new play written for the festival by April de Angelis, which starred Janet Suzman and Kathryn Pogson who gave a funny and poignant performance. The 24 Hour plays: Making Headlines finished off the 7 hours of performances. “Russian Roulette of Theatre Making” – as described by Howard Brenton, the hour showcased four new plays by Rebecca Lenkiewicz, Charlene James, Vinay Patel and Howard Brenton, who were all given 12 hours to respond to the day’s headlines and write a script for the festival, on Sunday morning the directors and cast were given the new plays to rehearse and the work was then performed on Sunday evening. The all-star cast included Beatie Edney, Stella Gonet, Ann Mitchel,and Maggie Stead who gave outstanding performances of the new work.